2017 Research Grant from the Swiss National Science Foundation ‐The Influence of Basic Cognitive Processes on Economic Preferences (331.000 CHF). 2017 Research Grant from the Swiss National Science Foundation ‐ Parameter Intercorrelations in Cognitive Models – Prevalence, Causes, and Solutions (215.000 CHF). 2013 Young Researcher Award (Amerbach Preis) awarded by the University of Basel. 2013 Research Grant from the Swiss National Science Foundation ‐ Modeling Cognitive Choice Processes in the Health Domain (186.000 CHF). 2011 Outstanding Young Researcher Award (Steven‐Karger Award), awarded from the University of Basel, Faculty of Psychology. 2010 Research Grant from the Swiss National Science Foundation ‐ Testing Cognitive Process Models of Consumer Choice (260.000 CHF). 2009 DeFinetti award for the best PhD paper, European Association for Decision Making (EADM). 2007 First runner up in the poster competition, Society for Judgment and Decision Making. Greifeneder, R., Scheibehenne, B. & Kleber, N.(2010). Less may be more when choosing is difficult: Choice complexity and too much choice. Acta Psychologica, 133, 45-50. Mata, J. Scheibehenne, B. & Todd, P. (2008). Predicting children’s meal preferences: How much do parents know? Appetite, 50, 367-375. Huber, R., Scheibehenne, B., Chapiro, A., Frey, S., Sumner, R. (2015). The Influence of Visual Salience on Video Consumption Behavior A Survival Analysis Approach. ACM Web Science 2015, Oxford-United Kingdom. Scheibehenne, B. & Pachur, T. (2013). Hierarchical Bayesian Modeling: Does it Improve Parameter Stability? In M. Knauff, M., Pauen, N., Sebanz, & I. Wachsmuth (Eds.) Proceedings of the 35th Annual Conference of the Cognitive Science Society (1277-1282). Austin TX: Cognitive Science Society. Scheibehenne, B. & Rieskamp, R. (2010). A Bayesian Antidote Against Strategy Sprawl. In: Proceedings of the 32nd Annual Conference of the Cognitive Science Society (1910-1915). Austin, TX: Cognitive Science Society. Scheibehenne, B., Greifeneder, R., & Todd. P. M. (2010). (When) Does Choice Overload Occur? Advances in Consumer Research, vol. 37, p. 499-499 (Association of Consumer Research). Scheibehenne, B., Todd, P. M. & Wansink, B. (2009) Eaters In The Dark: The Primacy of Cognitive Factors For Food Consumption And Satiety (2009). In N. Taatgen and H. van Rijn (Eds. ), Proceedings of the 31st Annual Conference of the Cognitive Science Society. 2018 University of Konstanz, Graduate School of Decision Sciences, Germany. 2017 University of Warwick, Warwick Business School, Behavioural Science Group, UK. 2016 University of Rennes, Interdisciplinary workshop on conative nudges, France. 2016 University of Tübingen, Lehrstuhl für Marketing, Germany. 2016 University of Konstanz, Psychoeconomics Meeting, Germany. 2016 University of Lausanne, Faculté des Hautes Etudes Commerciales, Switzerland. 2016 University of Bern, Faculty of Business, Economics and Social Sciences, Switzerland. 2015 Maastricht University, School of Business and Economics, The Netherlands. 2015 La Trobe University, Department of Economics and Finance, Melbourne, Australia. 2015 University of New South Wales, UNSW Department of Psychology, Sydney, Australia. 2015 University of Ulm, Department of Psychology, Germany. 2014 Max Planck Institute for Human Development, Center for Adaptive Rationality, Berlin, Germany. 2014 ETH Zürich, Behavioral Studies Colloquium, Switzerland. 2013 University of Rennes, Faculté des Sciences Économiques, France. 2013 Warwick University, Department of Psychology, UK. 2012 University of Freiburg, Psychology Department, Germany. 2012 Tilburg School of Economics and Management, Netherlands. 2011 Max‐Planck Institut für Bildungsforschung, Berlin, Germany. 2009 SPUDM Conference, Rovereto, Italy. Keynote on Choice Overload. 2008 Ohio University, Athens, USA. 2007 ETH Zürich, Institute for Environmental Decisions, Switzerland. 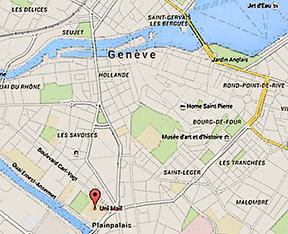 2007 University of Basel, Department for Decision Sciences, Switzerland. 2006 University of Mannheim, SFB 504, Germany. 2006 Cornell University, Food & Brand Lab, Ithaca, New York. 2015 Basel School of Design, Basel, Switzerland – talk on consumer choice: „Sich Entscheiden – Erkenntnisse aus der Wissenschaft“. 2013 Stapferhaus, Lenzburg, Switzerland – panel discussion on decision making on the mountain with Bruno Jelk. Scheibehenne, B. & Coppin, G. How does the peak-end rule smell? Tracing hedonic experience with odors. Talk presented at the Annual Meeting of the Society for Judgment and Decision Making in New Orleans, USA. Scheibehenne, B., Newell, B., & Olschewski, S. Risk aversion: Preference or perceptual bias? Talk presented at the Annual Meeting of the Psychonomic Society in New Orleans, USA. Scheibehenne, B. & Coppin, G. How does the peak-end rule smell? Tracing hedonic experience with odors. Talk presented at the 60th Conference for Experimental Psychologists in Marburg, Germany. Scheibehenne, B. (2017). The cognitive process of number integration: Evidence from the lab and from the field. Talk presented at the 26th SPUDM conference, Haifa, Israel. Scheibehenne, B. (2016). The Psychophysics of Price Perception: Evidence From the Lab and From the Field. Talk presented at the ACR Conference, Berlin, Germany. Scheibehenne, B., Jamil, T., & Wagenmakers, E. J. (2016). Do Descriptive Social Norms Enhance Pro-Environmental Behavior? A Bayesian Reanalysis of Hotel Towel Reuse. Talk presented at the ACR Conference, Berlin, Germany. Scheibehenne, B. (2016). The cognitive processes underlying price estimations in a consumer context – evidence from the lab and from the field. Talk presented at the Annual Conference of the European Marketing Association (EMAC), Oslo, Norway. Scheibehenne, B. (2016). The psychophysics of price perception: Evidence from the lab and from the field. Talk presented at the 58th Conference for Experimental Psychologists, Heidelberg, Germany. Scheibehenne, B., Rieskamp, J., & Olschewski, S. (2015). A Mathematical Model of Ego Depletion (and Strong Evidence for the Null‐Hypothesis). Poster presented at the 36th Annual Meeting of the Society for Judgment and Decision Making, Chicago. Scheibehenne, B. & Pachur, T. (2014). Using Bayesian Hierarchical Estimates to Assess the Generalizability of Cognitive Models of Choice. Poster presented at the 35th Annual Meeting of the Society for Judgment and Decision Making, Long Beach, California. Scheibehenne, B., von Helversen, B. & Rieskamp, J. (2014). Adaptive Strategies for Evaluating Consumer Products: Attribute- and Instance-Based Approaches Compared. Talk presented at the 56th Tagung für experimentelle Psychologie (TeaP), Giessen, Germany. Scheibehenne, B. (2013). Advantages and Limits of (hierarchical) Bayesian modelling. Talk presented at the 49th Congress of the German Society for Psychology (DGPS) in Bochum, Germany. Scheibehenne, B., von Helversen, B. & Rieskamp, J. (2014). Adaptive Strategies for Evaluating Consumer Products: Attribute- and Instance-Based Approaches Compared. Talk presented at the 55th Tagung für experimentelle Psychologie (TeaP), Giessen, Germany. Scheibehenne, B. & Pachur, T. (2013). (When) Does Hierarchical Bayesian Modelling Pay off? Poster presented at the 34th Annual Meeting of the Society for Judgment and Decision Making, Toronto, Canada. Scheibehenne, B. & Rieskamp, J. (2013). Testing the cognitive models of ego depletion. Talk presented at the 13. biannual Congress of the Swiss Psychological Society in Basel, Switzerland. Scheibehenne, B. & von Helversen, B. (2013). Chair of Symposium on Emotions and Decision Making at the 24nd SPUDM conference, Barcelona, Spain. Scheibehenne B. & Pachur, T. (2013). Hierarchical Bayesian Modelling of Choice Models. Talk presented at the ASIC Conference, Cortina d’Ampezzo, Italy. Scheibehenne, B. (2013). Chair of Symposium on Cognitive Consumer Choice at the 54th Meeting for Experimental Psychology (TeaP), Vienna, Austria. Scheibehenne, B. & von Helversen, B. (2012). Influence of Emotions on Choice Strategies. Poster presented at the 33rd Annual Meeting of the Society for Judgement and Decision Making, Minneapolis, USA. Scheibehenne, B., Berkowitsch, N., & Rieskamp, J. (2012). Making Decision Field Theory Testable. Talk presented at the 54th Meeting for Experimental Psychology (TeaP), Mannheim, Germany. Scheibehenne, B., Greifeneder, R., & Todd, P. M. (2012). (When) Does Choice Overload Occur? Talk presented at the 13th Annual Meeting of the Society for Personality and Social Psychology, San Diego, USA. Scheibehenne, B. & Todd, P. M. (2011). Genetic determinants of food choice. Talk presented at the 12. biannual Congress of the Swiss Psychological Society in Fribourg, Switzerland. Scheibehenne, B., Rieskamp, J., & Wagenmakers, E. J. (2011). Testing Adaptive Toolboxes: A Bayesian approach. Poster presented at the 32nd Annual Meeting of the Society for Judgement and Decision Making, Seattle, USA. Scheibehenne, B. & Todd, P. M. (2011). Genetische Grundlagen des Entscheidungsverhaltens am Beispiel von Variety Seeking. Talk presented at the 53th Meeting for Experimental Psychology (TeaP), Halle (Saale), Germany. Scheibehenne, B., Rieskamp, J. (2010). How many tools to include into an adaptive toolbox? A Bayesian approach.Talk presented at MathPsych, Portland, USA. Scheibehenne, B., Rieskamp, J. (2010). Ein bayesianischer Ansatz zum Test der ‚adaptiven Toolbox‘. Talk presented at the 52nd Meeting for Experimental Psychology (TeaP), Saarbrücken, Germany. Scheibehenne, B., Mata, J., & Todd, P. M. (2009). Preference prediction accuracy in couples decreases with age. Talk presented at the 22nd SPUDM conference, Rovereto, Italy. Scheibehenne, B., Greifendeder, R. & Todd, P. M. (2009). Can there ever be Too Many Options? Re-Assessing the Effect of Choice Overload. Talk presented at the ACR Conference, Pittsburgh, USA. Scheibehenne, B., Wilke, A., & Todd, P. M. (2009). Misperception of randomness decreases prediction accuracy. Poster presented at the 30th Annual Meeting of the Society for Judgement and Decision Making, Boston, USA. Scheibehenne, B., Todd, P. M., & Greifeneder, R. (2008). Can there ever be Too Many Options? Re-Assessing the Effect of Choice Overload. Talk presented at the 29th Annual Meeting of the Society for Judgement and Decision Making, Chicago, USA. Scheibehenne, B. & Bröder, A. (2008). Predicting Wimbledon with mere player name recognition. Talk presented at the 29. International Congress of Psychology in Berlin, Germany. Scheibehenne, B., Todd, P. M., & Greifeneder, R. (2008). (When) Does the Effect of Too Much Choice Occur? Poster presented at the 9. Meeting of the Society for Personality and Social Psychology in Albuquerque, New Mexico. Scheibehenne, B., Rieskamp, J., & González-Vallejo, C. (2007). Cognitive Models of Preferential Choice: Comparing Decision Field Theory with the Proportional Difference Model. Poster presented at the 28. Annual Meeting of the Society for Judgment and Decision Making, Long Beach, USA. Scheibehenne, B., Rieskamp, J., & González-Vallejo, C. (2007). Kognitive Entscheidungsmodelle: Vergleich der Decision Field Theory mit dem Proportional Difference Model. Talk presented at the 50th „Tagung Experimentell Arbeitender Psychologen“ (Teap) in Marburg, Germany. Scheibehenne, B. & Todd, P. M. (2007). When does the too-much choice effect occur? Talk presented at the 106. APA Convention in San Francisco, USA. Scheibehenne, B., Miesler, L., & Todd, P. M. (2006). Simple Heuristics for Food Choice. Talk presented at the 22nd Annual Brunswik Society Meeting in Houston, USA. Scheibehenne, B. & Todd, P. M. (2006). When does the too-much-choice effect occur? Poster presented at the Annual Meeting of the Society for Judgment and Decision Making, Houston, USA. Scheibehenne, B., Mata, J., & Todd, P. M: (2006). Are parents able to predict the lunch choices of their children? Appetite, 47(2), 275. Talk presented at the 30th International Food Choice Conference in Birmingham, UK. Scheibehenne, B. (2006). Der „Too-Much-Choice“ Effekt unter der Lupe: Wann ist weniger mehr? Talk presented at the 48th Tagung Experimentell Arbeitender Psychologen in Mainz, Germany. Scheibehenne, B. (2005). Does the too-much choice effect exist? Talk presented at the 9th European Congress of Psychology in Granda, Spain. Scheibehenne, B, Dieckmann, A., and Todd, P. M. (2005). The more choice the better? Poster presented at the 47th Tagung Experimentell Arbeitender Psychologen in Regensburg, Germany. 2018 Workshop on Doing Bayesian Statistics – a Kick-Starter, 11th JDMx Meeting for Early-Career Researchers in Konstanz, Germany. 2017 Workshop on Bayesian approaches to data analysis and cognitive modeling, TeaP Conference, Dresden, Germany. 2016 Tutorial on using Bayesian statistics for analyzing data, EMAC, Oslo, Norway. 2015 Workshop on Bayesian statistics in R, University of Salzburg, Austria. 2015 Workshop on Introduction in R for Statistics, University of Basel, Switzerland. 2014 Workshop ‚Hierarchical Bayesian modelling‘, 2nd EADM Summer School, Bonn, Germany. 2013 Workshop ‚Bayesian statistics as an alternative to null‐hypothesis significance testing‘, University of Bern, Switzerland. 2012 Workshop ‚Bayesian Statistics with R‘, University of Erfurt, Germany. 2011 Workshop ‚Bayesian Statistics‘, Max Planck Institute on Collective Goods, Bonn, Germany.